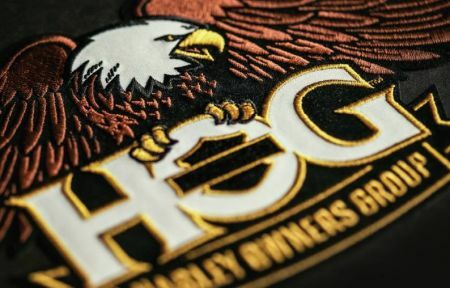 The Harley Owners Group is much more than just a motorcycle organisation. It’s one million people around the world united by a common passion: making the Harley-Davidson dream a way of life. The Tasmanian chapter of the Harley Owners Group is sponsored by Richardson’s Harley-Davidson. The H.O.G. representative at Richardson’s is Mark Proietti. The Tasmanian Chapter of the Harley Owners Group has members all over Tasmania from many different walks of life. We all share the enjoyment of riding and owning Harley-Davidsons. For more information, visit the Tasmanian Chapter of the Harley Owners Group by clicking on the link below. H.O.G. started in Tasmania in 1992 with the North Tas Chapter sponsored by Richardson's Motorcycles Launceston. The first newsletter was in August 1992. By December, newsletter no.4 lists 29 financial members. The Club included members from across the north of the State. A second H.O.G. Chapter started in 1998 following Richardson's opening a dealership in Hobart. Their founding meeting was held on 2 April 1998 with 24 members plus further associate members. The Club commenced mid June. In 2000 they commenced their own newsletter which was named 'South Pork'. Following the closure of the Hobart dealership the Southern Chapter ceased to exist in April 2002. On 25 August 2002 both the North and ex- Southern Chapters combined to form the Tasmania Chapter. And we haven't looked back. Given the distance between the regions separate rides are programmed for each area with combined events held as often as time allows. Welcome to Ladies of Harley (LOH), a program sponsored by the Harley Owners Group (HOG) to encourage female members to become more involved in their local chapter’s activities and rides. Membership is open to all female Harley enthusiasts. Whether you are a rider or a pillion, you are all welcome. LOH is not a separate group from HOG but simply an added benefit for female members. There is no additional cost to join LOH even though you will receive extra benefits including a LOH patch and annual badges demonstrating your continued LOH membership. When a Chapter ride or event is labeled 'LOH' it does not mean that it's for ladies only, it simply means that the event is organised by LOH. Male members are always welcome and encouraged to attend LOH rides and events to support our ladies. How do you become a member of LOH? LOH membership is administered through HOG Australia rather than the Tasmania Chapter. First you need to be either a full or associate member of HOG Australia. To become a member go to the HOG Australia website, www.hog.com to complete the appropriate membership form and remember to tick the LOH box. If you are already a HOG Australia member, just give HOG a ring on the number listed on the website, quote your membership number and ask to become a LOH member. After joining LOH patches, badges and information will arrive a few weeks later. If they don’t arrive please enquire with HOG Australia. Also, see our Membership Guide page for details on how to become a member of the Tasmania Chapter.